I’d also add in decent spark plugs and HT leads into the equation to make sure your car gets the best spark to it possible. After 2 and a half years of ownership and a few “stop me quick” modifications I decided to try to eek a little more power from my JDM engine. Subaru claim 260bhp from the engine in the Forester Stb but this is measured on Japanese high octane 100RON petrol and not the 98 or 99 we get here in the UK. At the first rolling road day I took my car to the rolling road driver was unable to get a proper power reading on all the autos there that day but my car still showed over 200bhp which is only slightly more than UK standard. 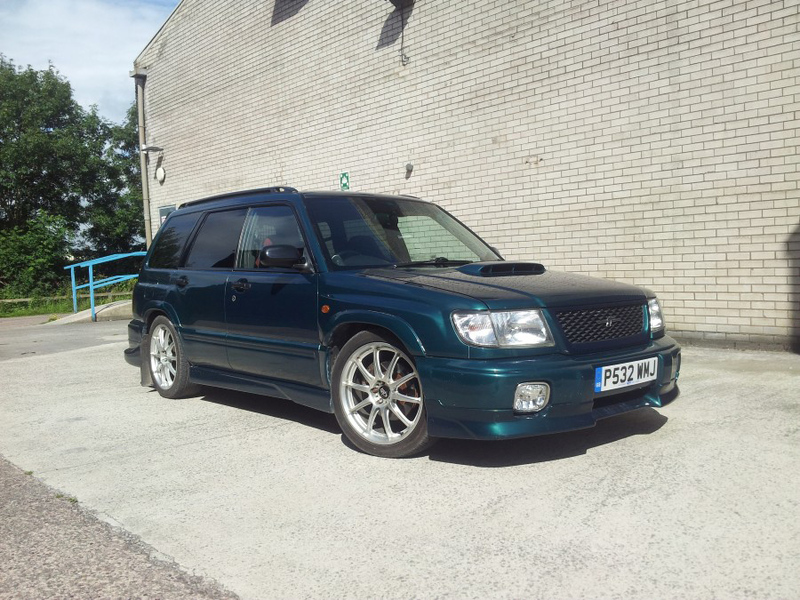 Now as you can imagine I was a little bit annoyed with this as its supposed to have 260bhp so I scour the internet for any snippets of information and end up on SubaruForester.com and scoobynet.com. both of which have masses of information and chaps all “happy to help!”. Sure there’s a lot of information on these sites but there’s also a lot of mis-information and irrelevant information. Information about non UK, newer models or even information about other Subaru models and engine designations. 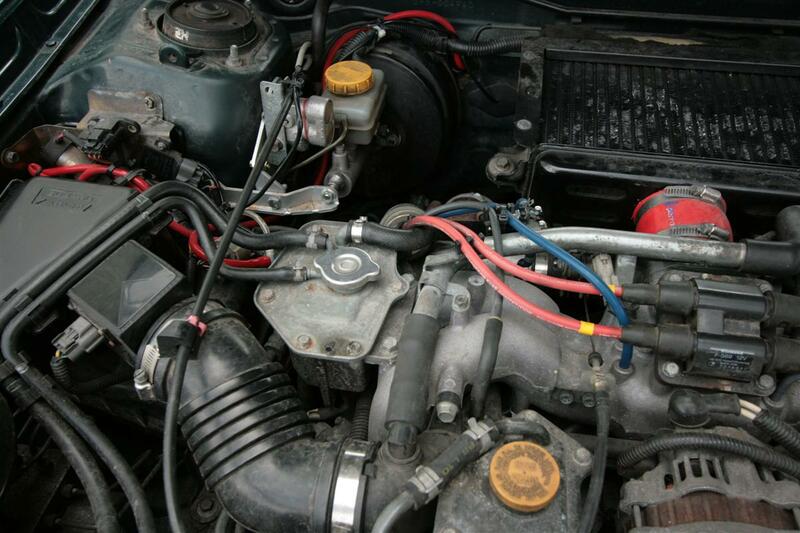 My low result was eventually traced by Autotecnica Buxton to be a boost leak. 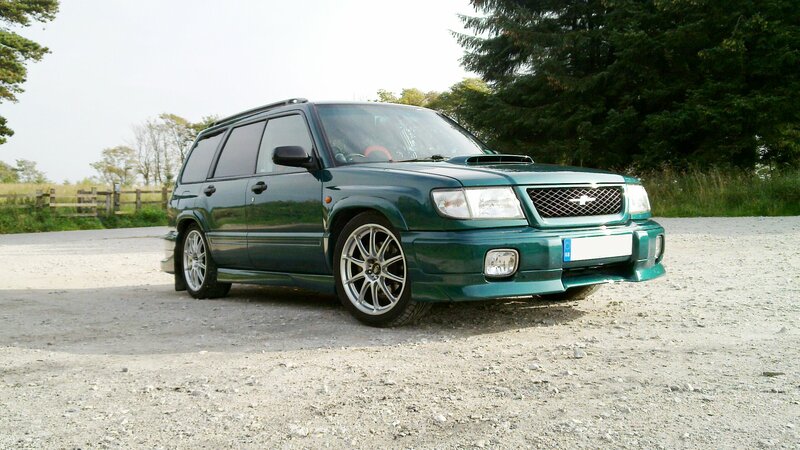 Finding information was hard but from looking at Australian and Japanese forums, (I can read some Japanese) and found out you can easily modify a Subaru Forester Stb engine as its fairly strong if you look after it and don’t go silly with the boost. So my next modification is a Boost Controller. I went to an HDI SBC which is made by a company in Australia. The HDI SBC comes as a kit and comprises of all the pipes, valves and other bits you will need to install it, but it also comes with a heavy duty solenoid and the boost controller itself. Yes, we all want a Subaru which sounds like a Rally Bred monster thundering through a forest stage with its hair on fire! Or do we? Don’t get me wrong I love the sound of a Subaru exhaust, especially those the size of small dustbins. My recommendations for off the shelf exhausts is Hayward and Scott all the way and even if you decide you don’t want it, its too noisy or your going back to standard then it will hold its value quite well and you can sell it second hand. In the end though I had a back box made by JP exhausts of Macclesfield as all the ones I tried previously didn’t give me the right noise or droned into the cabin. The exhaust made by JP Exhausts sounded spot on and didn’t drone on the motorway even at high speed. Most of the classic impreza exhaust will fit on the forester, the backbox however, the pipe will not be long enough to clear the back of your rear bumper and you possibly risk melting your back bumper. The downpipe and centre section are the same and will bolt straight on. A de-cat downpipe does make the exhaust louder and will make flames come out of the exhaust. I’d recommend a downpipe with a sports cat in it though, commonly called a 100 cell cat for MOT passing reasons but if you have access to ramps then a downpipe can be changed quite quickly at MOT time. Even without ramps I still managed to change mine in under an hour usinf nothing more than the Kerbside for access and a single spanner. Cooler air is the name of the game with turbo charged cars. Have you ever noticed how much more punchy your engine feels in colder weather? I ended up with a replacement WRX intercooler as the fins on my one were bent beyond belief and I think someone may have jammed sticks through it before I got the car. Looked better and aided airflow I am sure. Now the Forester Stb has the same dump valve and pipe to intercooler setup as the 2001 Impreza which means second hand intercoolers can be rare things and Scoobynet and fleabay are the best places to look and if your down on power then look at this as the pipes off the dump valve aren’t the strongest and can break. 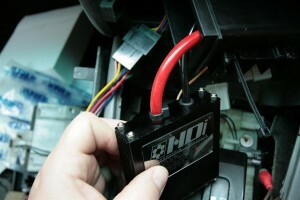 A front mount will aid massively with air temperatures going into the engine but will also increase boost times. I am told but never put a front mount on my car so can only postulate what its like from what others have told me. 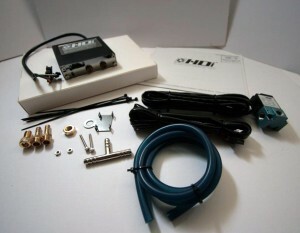 Any modification to the air intake system should be accompanied by a remap which on an stb is difficult unless you use a daughter board from someone like enduringsolutions.com. My friend I thank you for this information. I am living in Kenya and now own a Forester Stb and want to make it faster. do you know what boost maximum you can run on this car? If you don’t have decent fuel I would not turn up the boost. In the Uk we have 98 and 99 Ron fuel, I don’t know what you have in Kenya. Lower grade fuel will cause you engine to knock and knock on a Subaru engine is not good and can lead to engine damage. hows it going. is ( 91 regular) fuel in new zealand safe to use in my s/tb forester?? theres 95 premium and 98 high octane fuel aswell but alot more expensive were i am.. im guessing 98 if im running higher boost would suit better?. but would lower grade gas effect engine if was running low boost? Jesse, Subaru recommend the Stb be run on 100 ron which is only available in Japan, So 98 in NZ. Running you car, even on low boost you are running the risk of pre-detonation. I only ever ran mine on 98 Ron and the bloke I sold mine to put a gas conversion on it and blow the head gasket up. I’d done 70,000 kms in that car on high boost and it never missed a beat. my subaru forester has a few problems and weird things going on with engine aswell. for example. when i really put my foot down it serges and pops. but otherwise it drives fine. ???? it has a few upgrades aswell. (front mount intercooler). (tdo4h turbo) (HKS sssq bov) (TURBO SMART boost tap) (HKS PODFILTER) (2.5 INCH SRAIGHT PIPE ).